The children’s fashion show was held on the seventh of June, and was hosted by the simply gorgeous Ace Hotel in edgy and fun east London. But LICKALIX weren’t the only ones invited; there were also several children’s clothing brands. And they carried everything from fun hats and sunglasses to adorable dresses and coats for the tiny fashionistas in everyone’s life! The evening was full of wonderful conversations with the stylists as well as the many influencers that were also invited to the event. But what was the most fun was seeing the kids strut their stuff on the catwalk! A couple of the models even danced up a storm towards the end of the show. 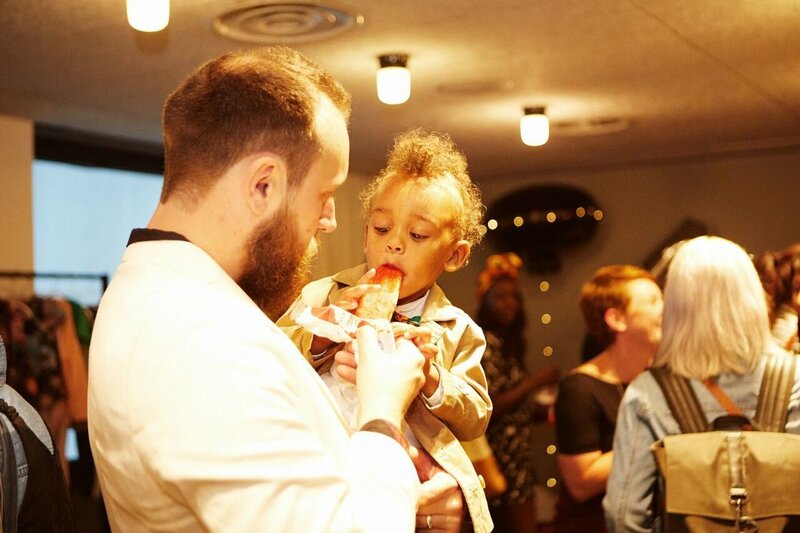 After the show was over, a lot of the pint sized models came over and indulged in a LICKALIX ice lolly or two (only if their parents said yes of course!) and we had so much fun handing them out to the kids and parents alike after the show was over. Some of the influencers and stylists even came over asking for lollies! Team LICKALIX had so much fun at the event last week and absolutely loved being a part of such a fun and kid-friendly event. Here are some of the fantastic photos that were taken during the event by ourselves as well as the fabulous Emma Wright!